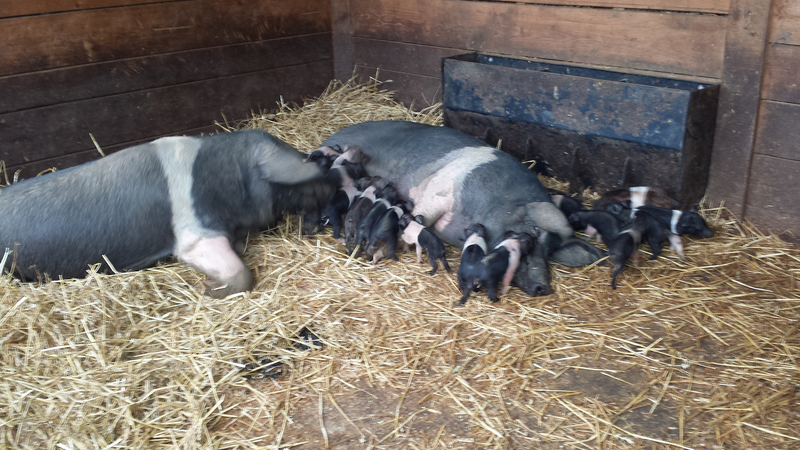 All our pigs are rare breed saddleback pigs, bred on our own farm in Romford, Essex. 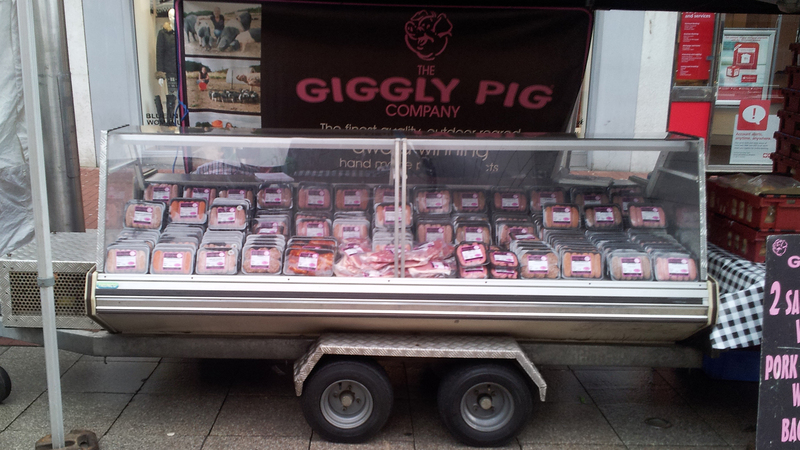 Our pigs are renowned for their delicious taste and we also don't add any fat to make them even more delicious. 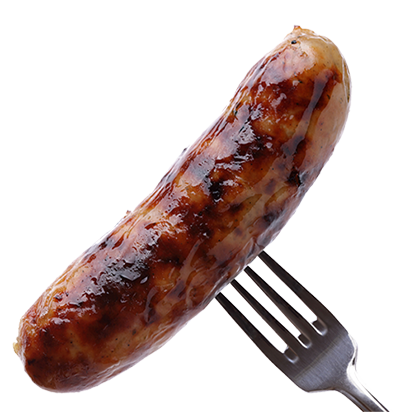 Our award winning sausages are available in over 75 different flavours so we have something for everyone. 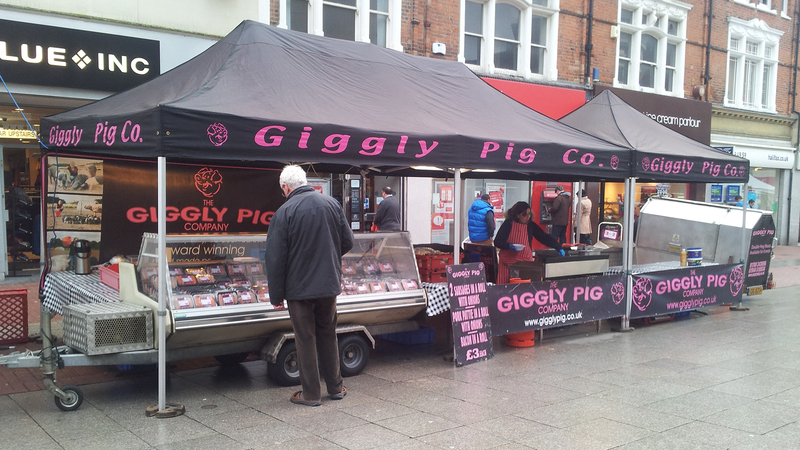 ""These have got to be the best sausages ever. 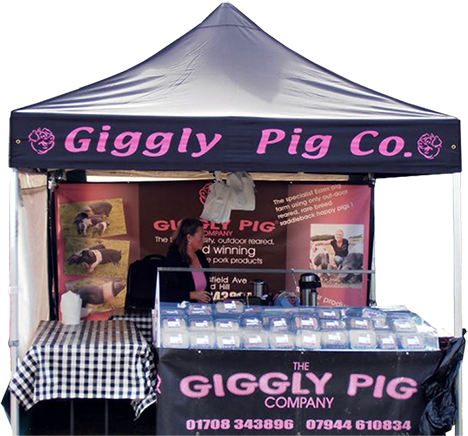 Great range of flavours - superb taste"
All of our pigs are rare breed saddleback pigs reared on our own farm in Romford, Essex. 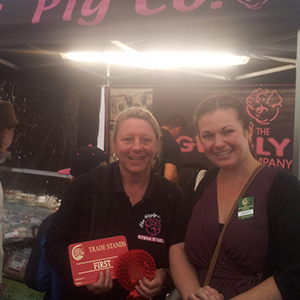 Saddleback pigs are renowned for their delicious taste which is unique to their breed and we don't add any fat to our quality products so they produce less when cooking. 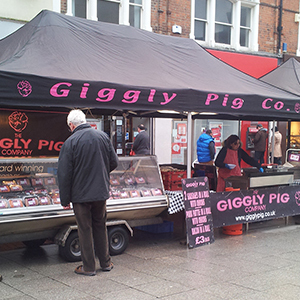 There are plenty of flavours for everyone, so why not give them a try? 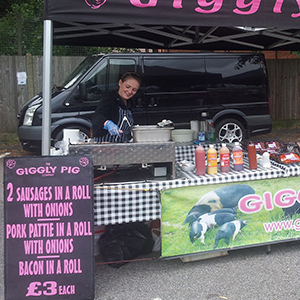 The Giggly Pig Company offers a friendly & professional catering hire service. 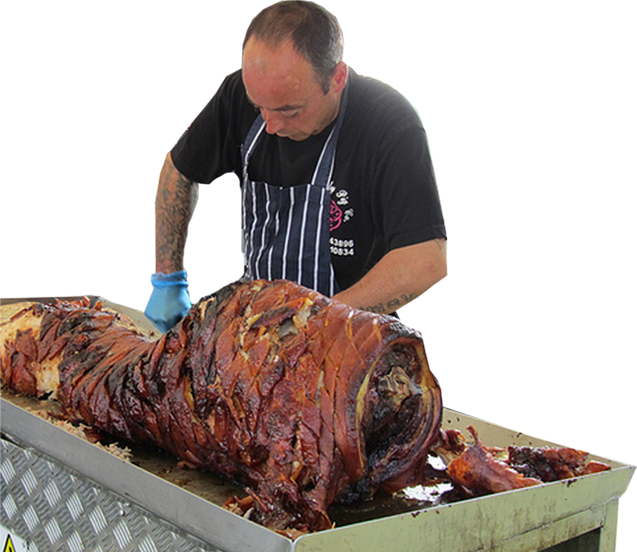 We can cater for ANY event with either our cooking trailer which we serve sausages and pork burgers in our own fresh hand made rolls! 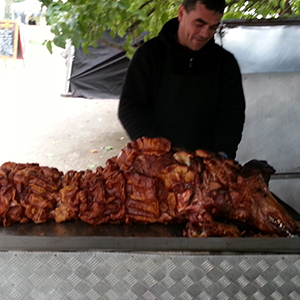 Most dates can be accomodated for and we are very flexible with our pricing. 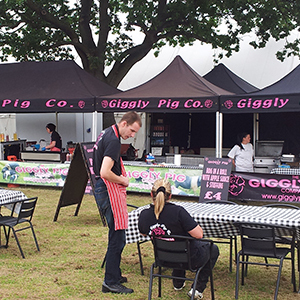 The Giggly Pig Company provide a reliable & highly professional service with competitive prices! 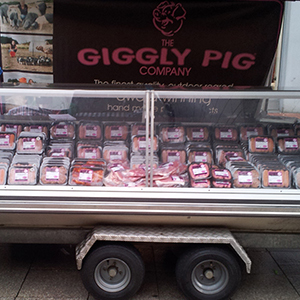 All the hogs are reared by ourselves on our farm in Essex, and we only breed saddlebacks which taste delicious. 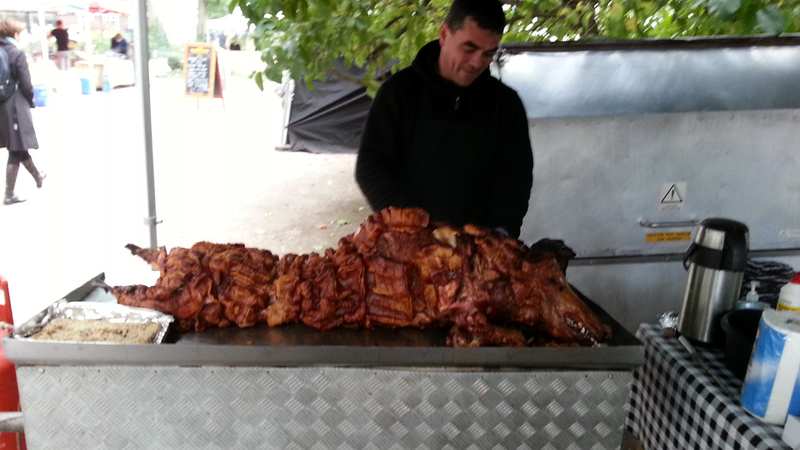 The average pig weighs 70kg and will happily feed 100 people. 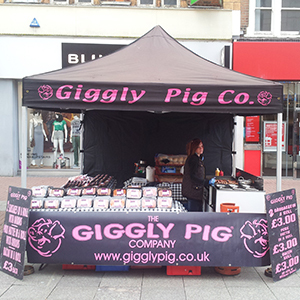 The Giggly Pig Company atteend weekly & monthly farmers markets and farmers markets at various locations across South East England. 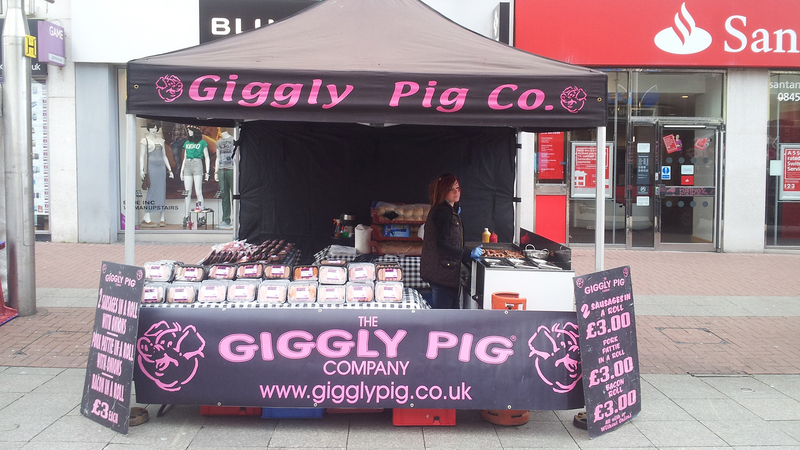 The Giggly Pig Company has it's very own store located on Petersfield Avenue, Harold Hill. 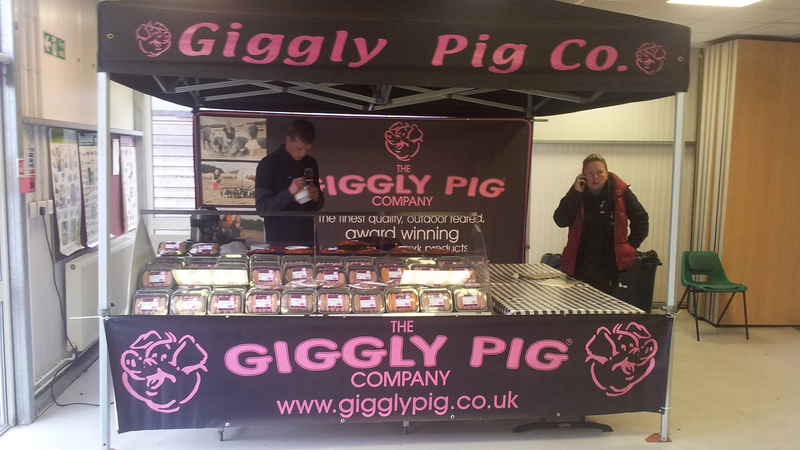 Why don;t you pop in and say hello? 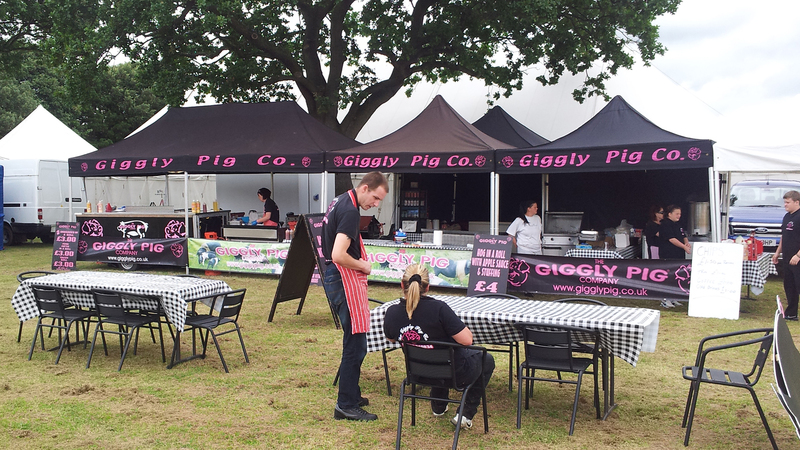 We're open 7 days a week, but if you can't catch us here, make sure you catch us at one of the various farmers markets we attend. 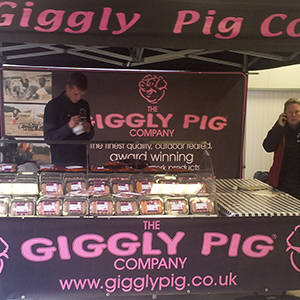 Take a look at some of our recent images, all taken from various events we have attended. 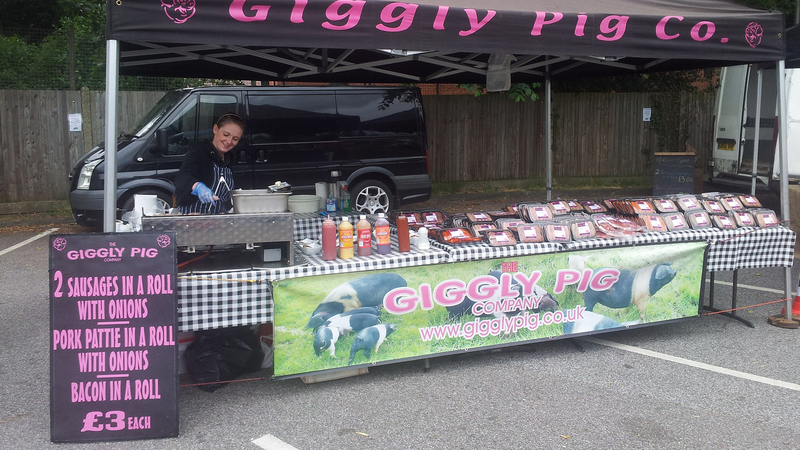 WANT US TO ATTEND YOUR VENUE? Just fill our the form below and someone will get in touch with you as soon as possible. 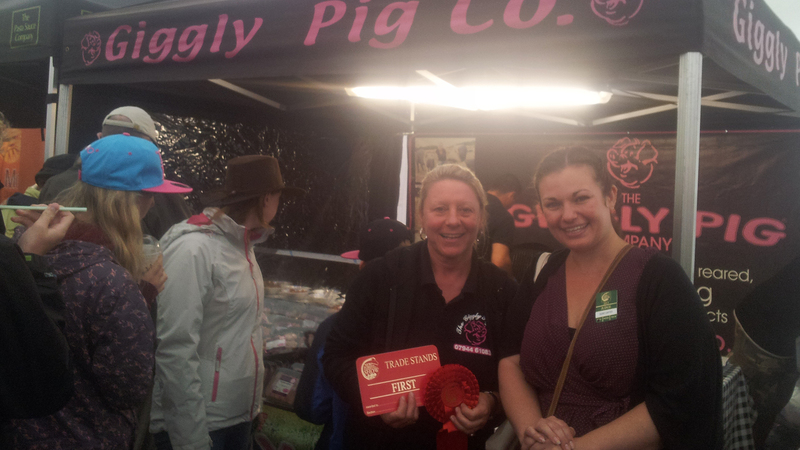 The Award Winning Giggly Pig Company! 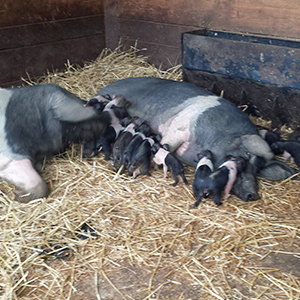 All our pigs are rare breed saddleback pigs reared on our own farm in Romford, Essex.